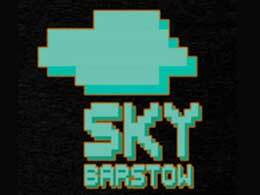 Robin ‘Sky’ Barstow is the man behind the bleeps and bloops of the intro and outro music – made especially for Design Modelling. A testament to fun and unexpected Internet collaborations and his generosity to create this nugget of purest electronic gold. Check out his website – as it’s far simpler than trying to track him down in the wilds of Norway, where he works as a Sound Designer and recording artist.